When you choose Quality Overhead Door, you’re choosing an expert in garage door, garage door openers and other products. When you need us for an installation or repair, we only send our own licensed technicians, never contractors, because we believe our team members can deliver on the promise of service excellence. Our technicians move quickly and efficiently, providing guidance based on deep experience and getting your garage door back to full operation as quickly as possible. Enjoy free installation estimates before work begins and warranties on parts and labor when it’s complete. This approach to our work has helped us earn various honors through 30-plus years in business, including the Angie’s List Super Service Award and an A+ rating from the Better Business Bureau. When we serve you, we provide responsive and reliable support. To learn more about the Quality Overhead Door advantage, contact us today. This vast selection comes from only the most trusted manufacturers in the industry. Our garage doors are made available through Clopay, Raynor, CHI and Wayne Dalton, and our garage door openers are from LiftMaster, Genie, Overhead, Allister, Challenger, Sears, Chamberlain, Moor-o-Matic and other respected brands. While you can find cheaper options, you won’t find the same combination of everyday performance and long-term value with other brands. When you need a garage door provider you can trust in Whiteford, choose Quality Overhead Door. In addition to our huge selection of garage doors and openers, we also provide installation, repairs and maintenance of fireplaces, entry doors, storm doors and awnings. With each purchase and installation, you’ll experience quality and durability. We first began serving Whiteford and other communities in southeast Michigan and northwest Ohio in 1982. While we have experienced significant growth in our 30-plus years, we remain a family owned and operated company that focuses on personalized support and long-term relationships with our customers. 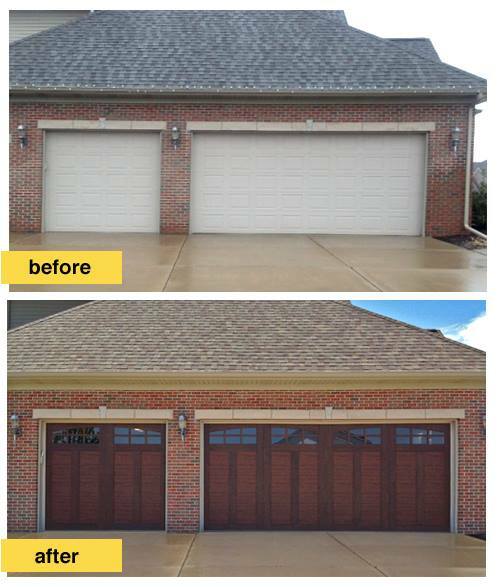 We are proud of the many repeat customers we have served in Whiteford and throughout the region, and we would love to serve your garage door and other residential needs.